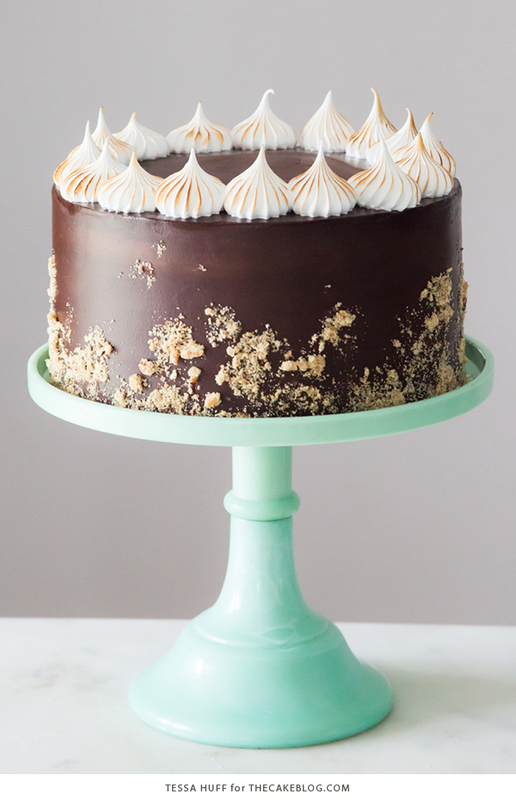 S’mores Cake – Chocolate cake with graham cracker buttercream filling, chocolate ganache frosting and toasted marshmallow meringue. 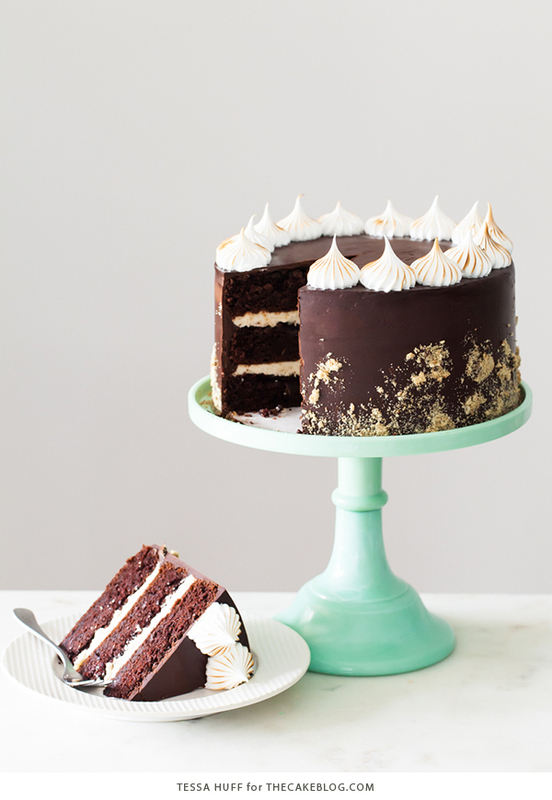 A s’mores inspired layer cake recipe by our contributor, Tessa Huff. For some, the perfect summer vacation isn’t without umbrella drinks and resort pools, but for others, nothing beats a beach bonfire or weekend campout among family and friends. Personally, I love a little of both, but living in the city does make me yearn for nature and a bit of solitude from time to time. A chance to unplug and enjoy the wildlife before heading back to the hustle and bustle. That, or just the chance to make S’MORES! No camping trip is complete without the ultimate bonfire treat of slightly charred marshmallows, melty chocolate, and classic graham crackers. I have memories of making this classic dessert since I was a kid, as I bet most of you do too. There really is nothing else that brings as much joy to both children and adults as watching a perfectly plump marshmallow turn all toasty – making it just warm enough to melt the chocolate. Plus, there is always the added bonus of having gooey, mallow fingers while camping without running water – hehe. Despite being sometimes messy, s’mores making and eating is a tradition that I hope continues to stick around from summer to summer. 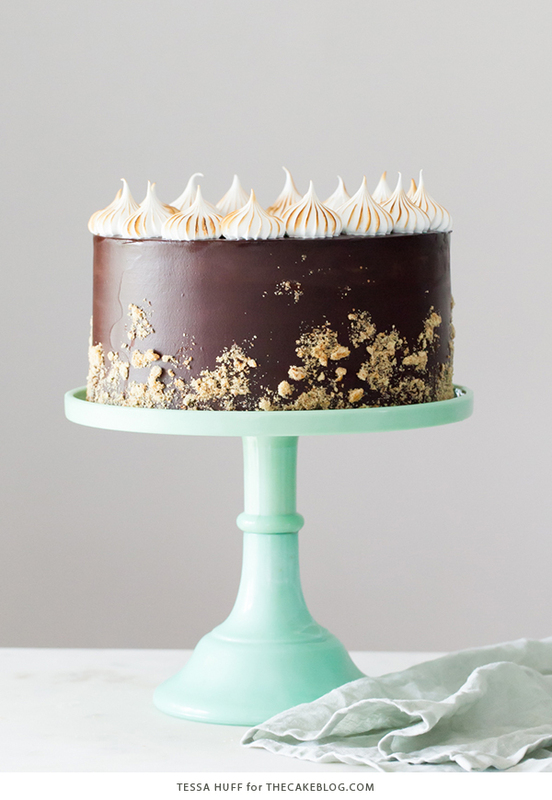 Equally fun to make and enjoy is this S’mores-inspired cake! 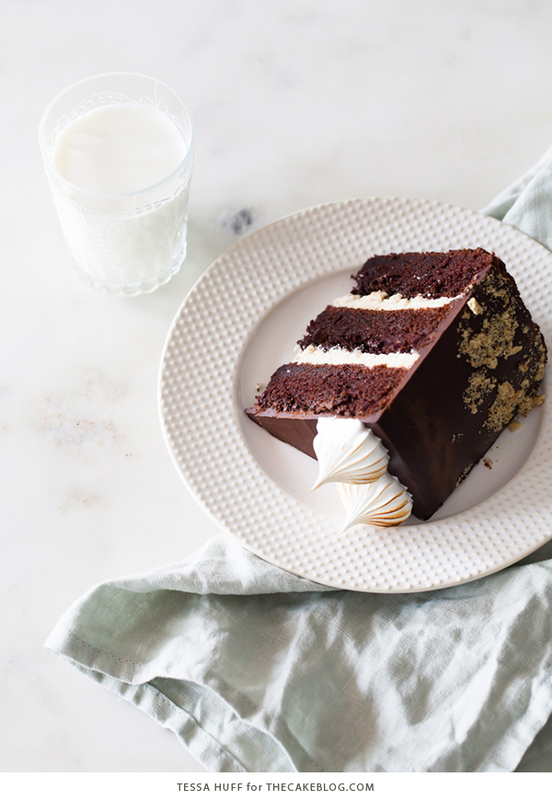 Using a combination of chocolate, graham crackers, and toasted meringue, this cake has all the flavors of the nostalgic treat packed into one celebratory dessert. 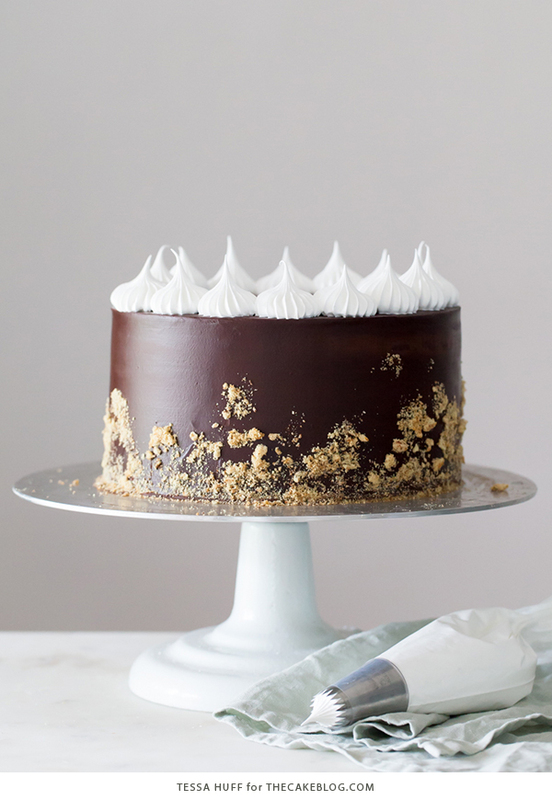 Graham buttercream is slathered between layers of chocolate buttermilk cake. 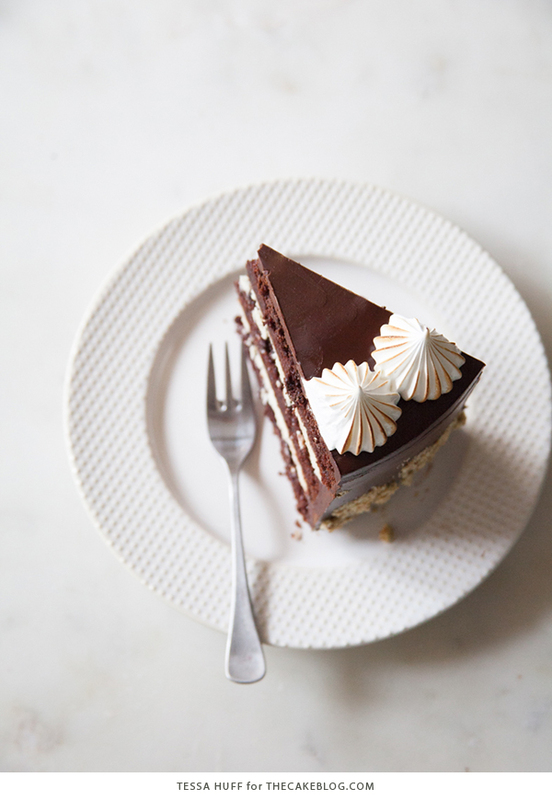 The whole cake is frosted in a silky, decadent chocolate ganache. 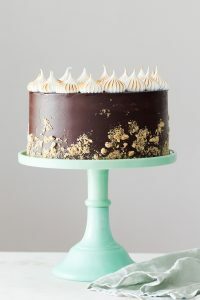 A sprinkling of extra graham crumbs adds great texture to the sides of the cake, but the best part lies on top – toasted marshmallow-like meringue! Bring that campfire vibe into the kitchen by toasting up some meringue with a culinary torch! A giant smore’s cake to share – both campground and indoor occasion approved. 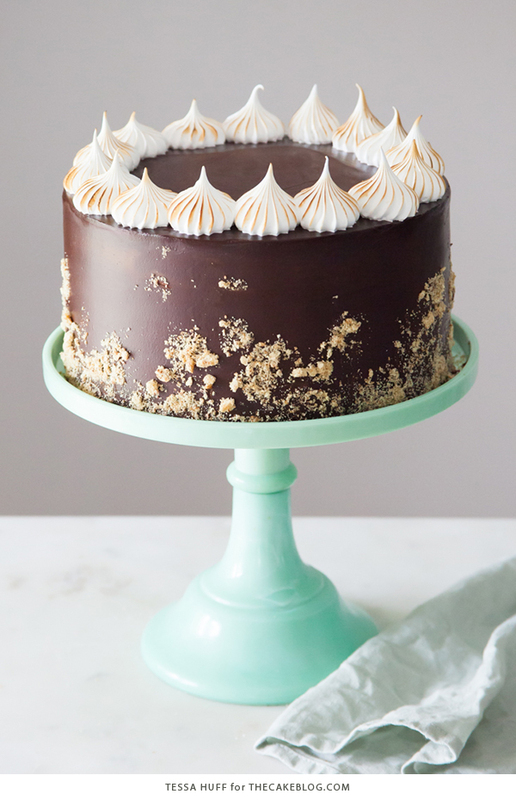 S’mores Cake – Chocolate cake with graham cracker buttercream filling, chocolate ganache frosting and toasted marshmallow meringue. Pre-heat the oven to 350-degrees F. Grease and flour three 8-inch round cake pans and set aside. Sift together the flour, cocoa powder, baking soda, baking powder, and salt. Set aside. In the bowl of an electric mixer, mix the oil and sugar on medium until combined. With the mixer on low, add in the vanilla and eggs, one at a time. Mix until combined and smooth. Stop the mixer and scrape down the bowl. With the mixer on low, add the dry ingredients and buttermilk in alternating batches, starting and ending with the dry ingredients. Carefully stream in the hot water. Mix on medium speed until smooth, but not more than 20-30 seconds after the water has been added. Evenly distribute the batter into the prepared pans. Bake for 25 to 28 minutes, or until a toothpick inserted into the center of the cakes comes out clean. Let cool on a wire rack from 10 minutes before removing the cakes from their pans. Using an electric mixer, beat the butter and cream cheese together on medium until smooth. With the mixer on low, gradually add in the sugar, milk, and vanilla. Once the sugar begins to incorporate, turn the mixer up to medium-high and mix until light and fluffy. Mix in the graham cracker crumbs. Adjust the sugar and cream quantities until desired consistency is achieved. In a saucepan, slowly bring the cream to a simmer. Remove from the heat and gently pour over the chocolate. Allow to stand for about 30 seconds, then gently whisk until smooth. Stirring intermittently, allow the ganache to cool at room temperature until it reaches a slightly thickened, yet spreadable consistency. In the bowl of an electric mixer, stir together the egg whites and sugar. Fill a saucepan with a few inches of water and bring to a simmer. Place the mixer bowl on top of the saucepan to create a double-boiler. Stirring intermittently, heat the egg mixture until it reaches 160 degrees on a candy thermometer. Carefully return the bowl back to the stand mixer and whisk on high until glossy, stiff peaks form – about 8 to 10 minutes, or until the outside of the mixer bowl returns to room temperature. Add vanilla and mix to combine. Use fairly immediately. After the cakes have cooled, trim the tops until even. Place the bottom layer of cake on a cake board or serving dish. Spread on half of the graham frosting with an offset spatula. Top the with the next layer of cake and repeat. Once the ganache has cooled to a spreadable consistency, begin frosting the cake. If the ganache is on the runny side, work with only small amounts at a time. 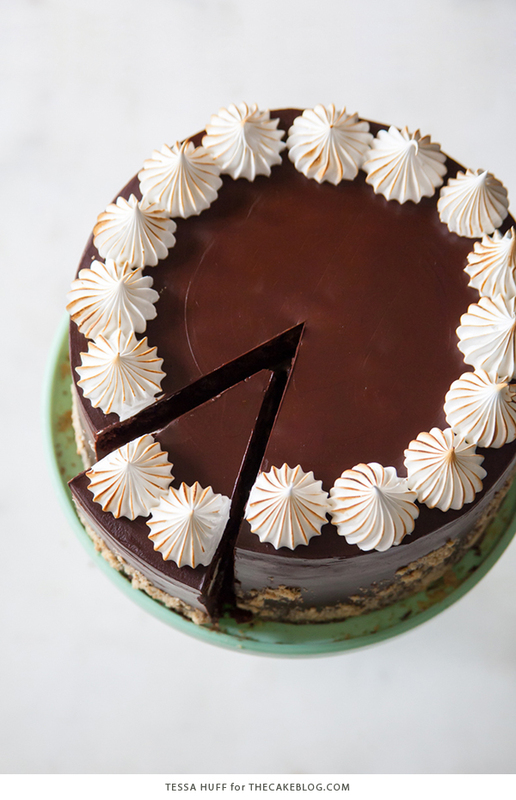 The ganache may be difficult to work with at first, but eventually it should come together. 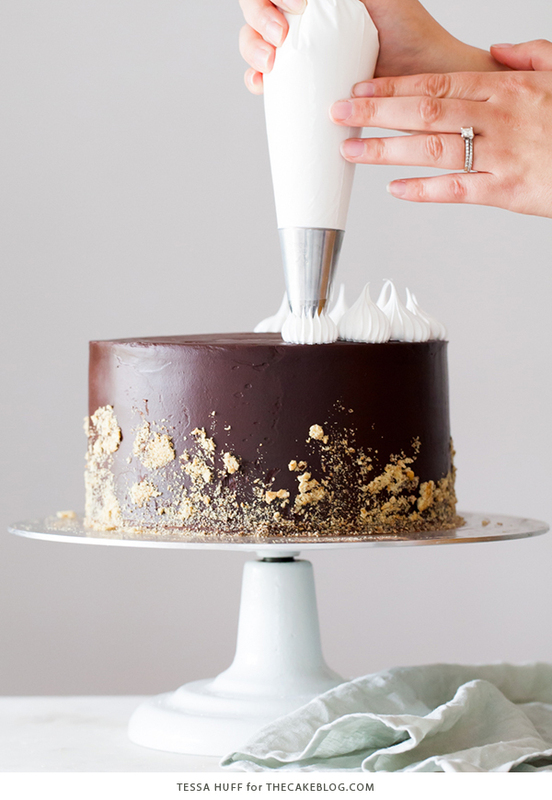 Before the ganache sets, sprinkle the sides of the cake with extra graham crumbs. 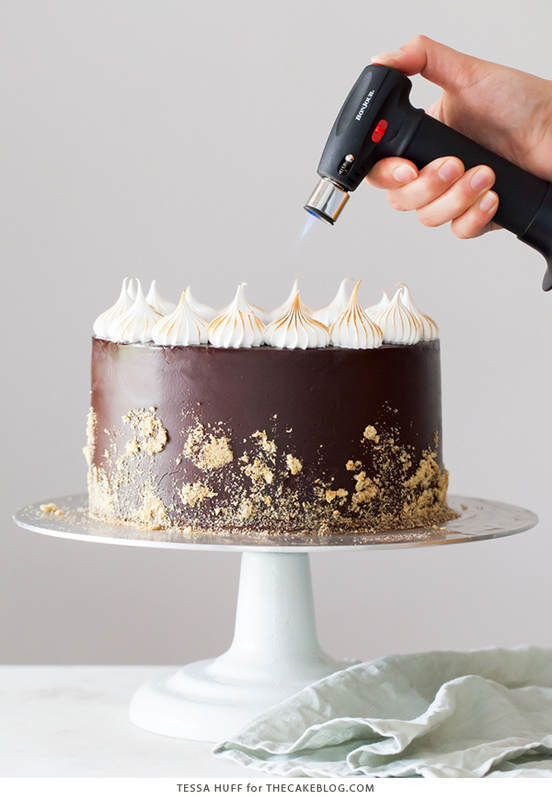 Pipe the meringue on top of the cake using a French star tip like an Ateco 869. Lightly toast meringue with a culinary torch, if desired. If the ganache begins to harden before the cake is completely frosted, gently reheat using a double-boiler. Don’t have a culinary torch? Try popping the cake under the broiler for a quick minute (Do not leave unattended! Keep a close eye to make sure the cake doesn’t melt/burn) or leave the meringue as is. Can you give this recipe in grams? Please. Here are some tools for translating our recipes to metric. Hope it helps! Hello! you have many of the products are measured in cups .Tell me how much is in grams? I’m from Russia and how we would have a Cup is 200 grams. Would really appreciate it if you convert the recipe to grams. Beautiful cake! Just wondering why you didn’t use marshmallow topping instead of meringue? Meringue is notoriously unstable and is known to weep (collect excess moisture). But this recipe uses a Swiss meringue, which is somewhat more stable. While it will slowly deteriorate, it should last 2 days or so if properly store in the refrigerator. A cake dome or light wrap of plastic will help as well. I Love the combination of chocolate, graham crackers, and toasted meringue. Its Really Delicious. This is a five star cake. The very best. 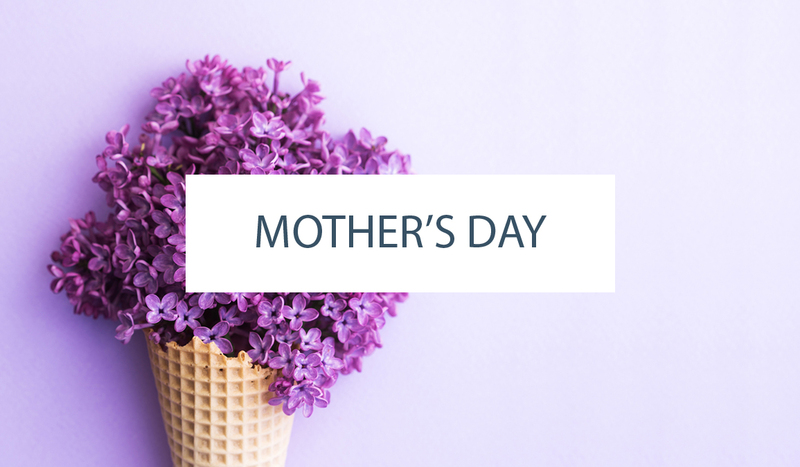 Everyone in your home is lucky to have such a great baker, that comes up with this. Moist and not to sweet but satisfies very chocolate craving. Hi please can you tell me an alternative for eggs! Unfortunately, we have not tested this recipe without eggs. But here are some egg alternatives, if you’d like to experiment: bananas, applesauce, tofu or flaxseeds. You can read more about egg alternatives here. Hello can I substitute the oil with butter? 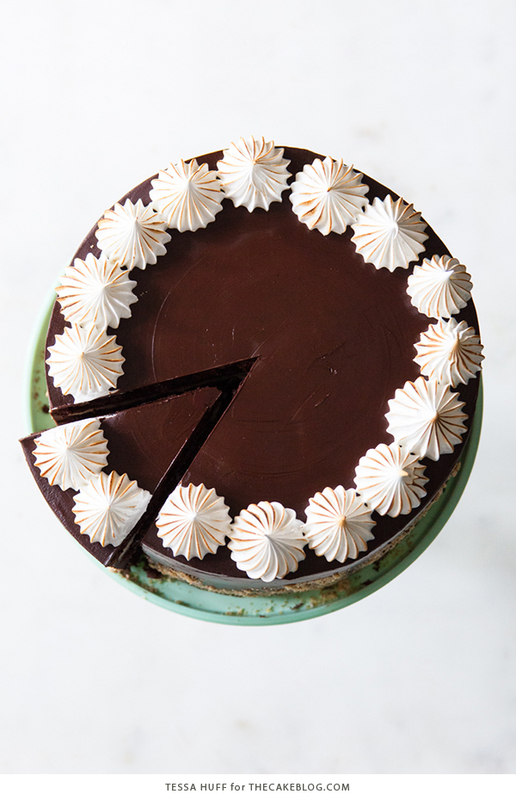 What number is the tip you used for the meringue on top? Thanks! It’s a French star tip, like an Ateco 869. Opps! The vanilla should be added at the end. I’ve updated the recipe accordingly. Thank you for pointing it out. As for your meringue – meringue can be so finicky! 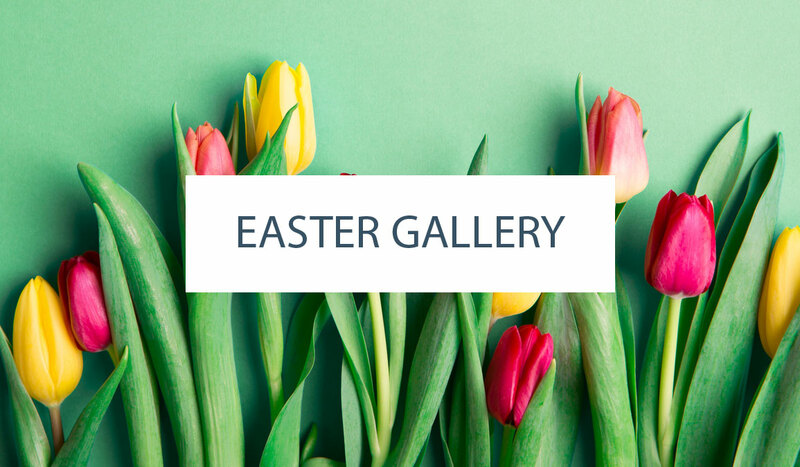 Make sure you’re using a glass or metal bowl, start with room temperature egg whites and make sure your mixture is free of any traces of oil, fat or egg yoke. Even the smallest drop of fat will make it harder to create a stable meringue. Some bakers go to the extreme of wiping down the bowl and whisk with lemon juice before starting. As a last resort, you could try adding a stabilizer like cream of tarter or an acid. To do so, you’d add cream of tartar (about 1/8 teaspoon per egg white), or lemon juice or white vinegar (about 1/2 teaspoon per egg white) before beating. Hope this helps you troubleshoot! Hi. Please tell me what number tip you used for meringue? My second cake made from scratch and it was a big hit at my work! Sweet but not too overpowering. Everyone loved the graham cracker frosting! Thank you for the great recipe. I will definitely be making this cake again! The vanilla paste can be a challenge to find where I live (northeastern coast of Brazil). Would you know the ratio to use vanilla extract (the real thing, i make my own)? I substitute vanilla extract and vanilla bean paste interchangeably. Ratio 1:1. Hi! I’d like to take this to work, would the meringue deflate if I keep it in the fridge at night and took it out in the morning? In general does the cake freeze well is what I’m asking haha. This looks SO beautiful! Please help me. I’m doing it for my daughter’s birthday cake. I’m stucked with cream 🙁 After 9 minutes of beating in Kitchen Aid on 8 speed it’s still runny. Should I add more sugar or cream cheese on this stage and continue to beat? Or maybe put it in to the fridge? I’m assuming you’re talking about the graham frosting. If so, then your butter and cream cheese are simply to warm and are in a melted state from all of that whipping. Pop it into the refrigerator until it is good and cold. Then give it a short whip and you’ll have the right frosting consistency. I have been the Grub Master for my son’s Boy Scout troop many times. They LOVE my mini s’mores cookies…. In any case here in Colorado, we are definitely at high elevation… How would you adjust this recipe for 6035ft? My son has requested a S’mores cake for his #16th birthday and THIS is the recipe that caught my attention!! !